It wasn’t that long ago we were scoffing mince pies and sipping mulled wine around a decorated tree, but now look at us, standing on the shoulders of a new month with spring on the horizon. Days are slowly beginning to uncoil, bringing welcome light to the winter-frayed edges. Clouds crack and splinter, throwing shards of sunshine at the unsuspecting gardener. Instagrammers and bloggers have sensed the change in the air. Already they’re limbering up, sharing moments of chitting spuds, chilli sowing and blooming crocuses. A hashtag for this, a smiley face for that, and the accumulating ‘likes’ sends their finger-tapping digits into a fevered frenzy. Fully stretched and limbered, and nearly recovered from the flu, I take my place alongside other garden bloggers on the starting blocks. Crouched, tensed, alert. Waiting for the moment the start gun is fired, and spring is made official. In that unique, blurry moment, gardeners will roar, nursery tills will ring, and soil will be toiled. But for now, we have to wait… or do we? This gardener is no fool, you have to put in the effort to see results. We shouldn’t be waiting, we could be preparing, and there are a few tasks we can do for the garden and allotment right now. So far, it’s been a great month for snowdrops. These delicate floral pearls provide us with so much pleasure. However, no sooner have they bloomed, than they return to their green form, not to be seen for another year. So why not take the opportunity to create larger displays for the future? Lift, divide, re-plant! They’re a robust flower, so you won’t be damaging them, you’ll be encouraging them. Of course they will naturally increase and spread over the years, but this method gets you results much quicker. This technique can also be applied to your perennial plants, currently biding their time in your garden beds. Think about how you want your border to look at the height of summer and re-plant accordingly. 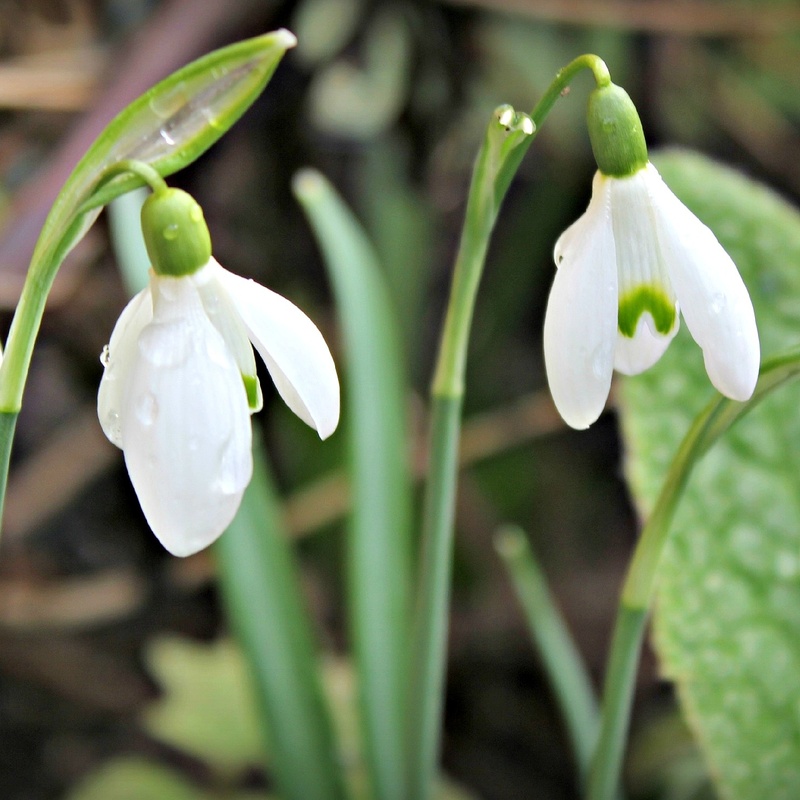 However, whereas snowdrops can be lifted and divided by hand, you’ll need a sharp spade for perennials. Speaking of borders, they’re probably not looking at their best right now, am I right? So why not give them a little nip and tuck. Cut away last season’s perennial foliage and clear the bed of weeds and fallen debris. Then, mulch to the depth of about six inches. Not only will this suppress weeds, but the garden will look reinvigorated. Just be careful not to cover any growing plants with the mulch, as not only with this prevent sunlight reaching them, but could cause them to rot. It’s still not too late to get chitting! Set your tubers’ eyes to the sky, and six weeks from now, you could be laying your happy spuds in their newly dug beds and grow-bags. If working out in the cold doesn’t thrill you, why not head for the greenhouse. With the right heat source, grow-mats, propagator, or a general greenhouse heater, you might consider sowing a few seeds. Whoa! Easy tiger! I said a few seeds, let’s not get carried away. It’s still early February, not quite mankini weather yet. If you want to sow something for the allotment, why not think about cauliflowers or brussels sprouts. If it’s for the garden, why not sow a few cosmos or echinacea. Right now, there are a hundred and one garden magazines, websites and TV shows telling you how to sow each variety with military precision. 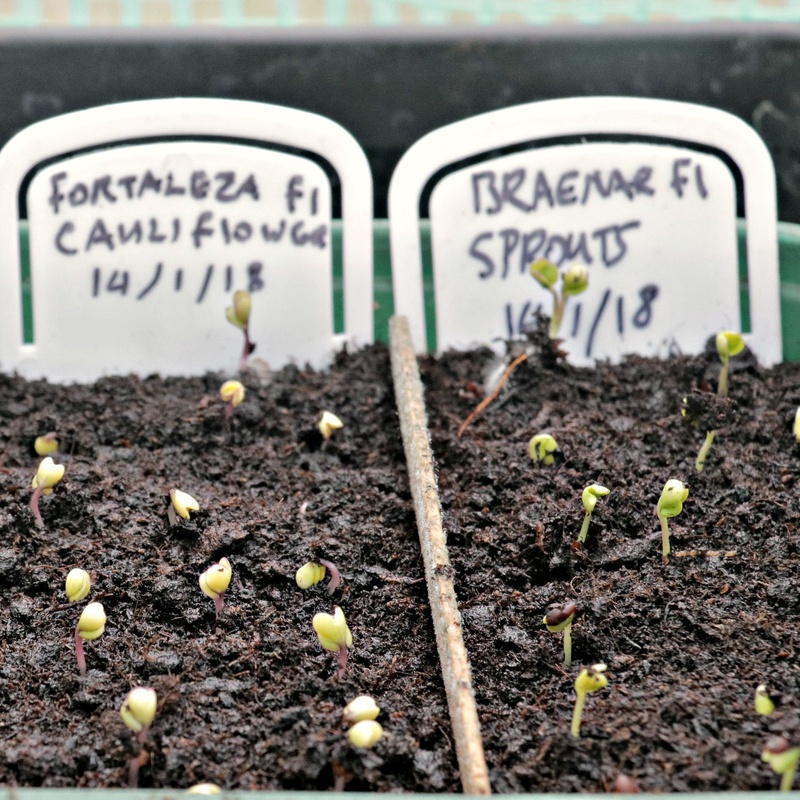 I’m sure they are all wonderful techniques, however, it all comes down to the one thing: germination. I’ve been using the same technique for years now, and it hasn’t failed me yet. Using seed or mult-compost, I overfill a small pot or tray. Tapping the container gently, I brush away the excess soil. 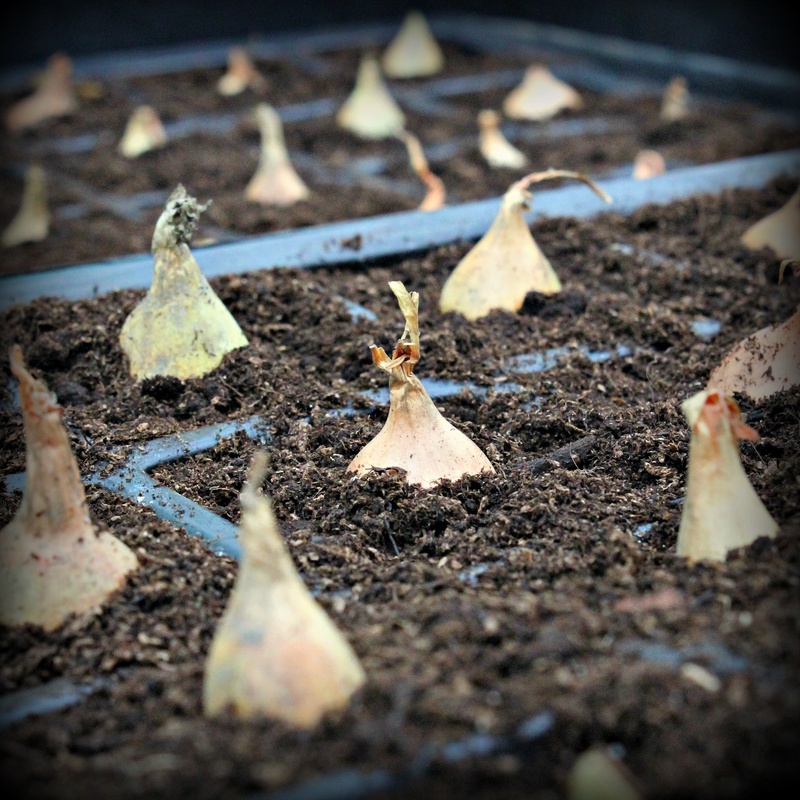 Sowing my seeds thinly across the surface, I then cover in a thin layer of compost or vermiculite. I label the pot, then place in a couple of inches of water. By letting the pot draw water from the bottom, it leaves my seeds undisturbed. Finally, I place them in a bright, warm, draught free spot. As I said, this is my failsafe method, but see what works for you and you’ll find your own way. Of course there are many other chores you can be doing now, winter pruning raspberries, wisteria, or late flowering clematis. Planting bare root fruit trees, planting up onion sets, or prepping and warming a plot for an early sowing of carrots. It’s time to start flexing those gardening muscles and get the blood flowing! Mother Nature is stirring, and as spring bulbs pierce through the soil, pockets of colour start to fill the garden canvas. The song birds get their verses in tune, while gardeners start to emerge, returning to their winter-worn plots. There they feel the beat of life, and resume their rightful place. Welcome back Agent Ade! After being laid low with the ‘flu your report is overflowing with boundless energy and great welcome advice, and would get anyone ready to get out into the garden with enthusiasm. Very impressive! Your post made me smile. No digging and dividing in central Maine. We still have at least three feet of snow, and underneath the ground is frozen hard. If I am not mistaken, you are farther north than we are. When spring finally comes to Maine, I’ll be ready for the glorious burst. In the meantime, I’ll enjoy it from blogs such as yours. Thank you for mentioning the pruning of the vines. I just did it, which is late by our standards. I do not know if it is a winter or early spring chore elsewhere. Glad to hear it Tony. Where’s home for you by the way?